Dental insurance isn’t something most travelers think about when looking to purchase travel insurance for long term travel. This was certainly the case with us. 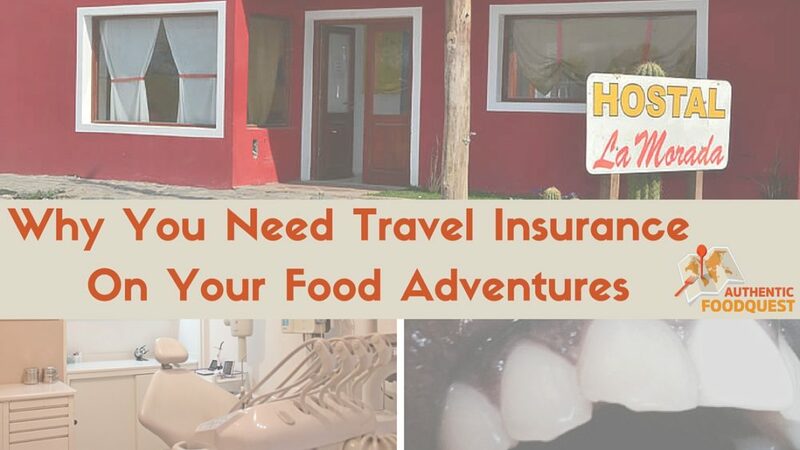 As we prepared to start our quest for authentic food in South America, we bought travel insurance to cover us on the road. After looking around at different options, we chose to go with World Nomads because it met our needs. We were looking to be insured for accidents and illness that can strike while on the road. Additionally, travel insurance that would cover our electronic equipment in case of theft was also important. We paid minimal attention to the dental coverage and did not expect o use it on the road. Little did we know what would happen to me on our quest for authentic food in Argentina. Cafayate is a small remote town in the province of Salta, Argentina. This region is famous for Torrontés wines and we visited the region to discover Argentina’s famous white wine. 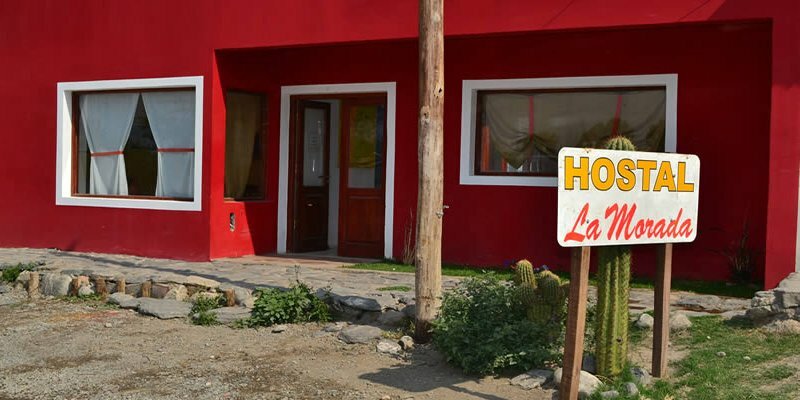 Tired from traveling, we checked into La Morada Hostel one evening and had a simple dinner close by. The plan was to get a good night of rest and spend the next day exploring Torrontés wines and Cafayate. Shortly after breakfast the next morning, we were back in the room finalizing our agenda for the day. I opened my mouth to say something and a piece of my front tooth chipped and broke off. Resting on my tongue was a strange object. Running quickly to the mirror, I looked to see what was happening in my mouth.Stunned!! I could not believe it. My front tooth was chipped. I was not eating, nor had I eaten anything difficult to chew before. Well, you might wonder how in in the world, you can chip your tooth without any warning signs!? The thing is, several years ago, I had an accident where I broke my front teeth. Ever since that time, my dentist had always told me to be careful, because my front teeth are fragile. He urged me to pay close attention when biting into anything. Over the years, my front tooth got damaged and was repaired twice before. What was surprising about this situation is that I was not eating anything, I was simply sitting on the bed and working. But as the French would say; “jamais deux sans trois”, which means something that has already happened two times before, is likely to happen again. As culinary explorers on the quest for authentic food, my teeth are my greatest asset. I was so distraught when a piece of my front tooth chipped off. Fortunately, I was not in pain. However, I was very nervous about eating. I was so scared that my tooth would crack and fall off completely. 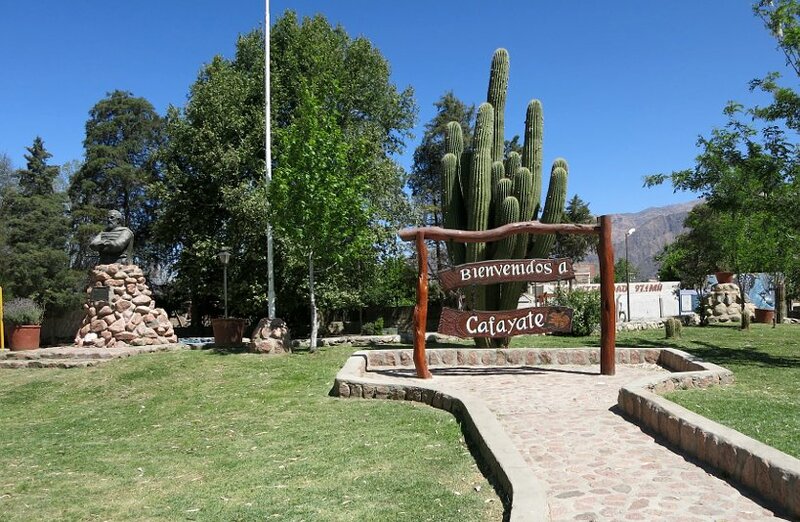 We were in Cafayate for about one week having spent several weeks in the remote villages of the Andean Northwest. Our next stop was going to be Buenos Aires and since I was not in pain, I decided to wait. In addition, since our focus was less on eating and more on “tasting Torrontés wines” I figured that liquids would not harm my teeth too much. Not knowing any dentists in Buenos Aires, we relied on local recommendations. We got in touch with two friends from Buenos Aires. One local porteña (female from Buenos Aires) and one expat living in Argentina. The dentist recommendation from our porteña friend was able to see me immediately upon arriving in Buenos Aires, so I booked my appointment with him. Once I had secured the appointment, I started looking closely at our medical travel insurance and the dental coverage policy. While everything was clearly laid out, I still contacted World Nomads in advance to make sure I would have no problem filing a claim later. The customer service team got back to me in less than 24 hours. I just needed to make sure I got the invoice from the dentist. With my paperwork in order, we arrived at the dentist’s office at the appointed time. While I was so happy to able to see a dentist so quickly, I was extremely nervous as well. Would we be able to communicate? With my limited Spanish and no medical Spanish language vocabulary, I was very nervous about being able to explain what happened. Then I started worrying about the dental equipment and standards of cleanliness. If I needed to get a shot and be numbed for any procedure, what would he use? How clean would the place be? How painful would the experience be? All these thoughts were running through my head as we rode the elevator up to the dental office. As soon as we walked into the office, I was immediately put at ease. The dentist, Leandro Cerisola welcomed us into his office in perfect English. He invited me to sit down and started asking questions about my teeth and the incident. As we talked, I looked around his office and was impressed with the state-of-the-art technology. I could have been at my dentist’s office in the U.S.
Dr. Cerisola began repairing my tooth and was gentle and light with his hands. He took the time to make sure I was comfortable and not in any pain. As he worked, he also explained what he was doing step-by-step, while giving me suggestions on how to take care of my teeth. The whole experience was amazing. The office was clean and modern. Dr. Cerisola was professional and knowledgeable. I was thrilled to get my smile back and ability to continue to eat on the quest for authentic food. The World Nomads claims process was very simple. I logged into my account, filled out a few forms where I explained what happened and the treatment I received. I also photographed the receipts and invoices and sent them through. The final document World Nomads requested was a copy of my flight itinerary. About 5 days later, I logged into my account and saw that my case was in process. Less than 30 days later, my claim was approved and a check for the amount of 2,500 ARS (approx $166 USD) was going to be mailed to my home address. The only negative, is that World Nomads sends reimbursement checks and does not make Paypal or online bank deposits. For long-term travelers, this can be quite inconvenient. Sometimes checks need to be deposited within six months before they expire. If you are not back home by then, you could lose out. When thinking about the whole situation later, I am so grateful that all my initial fears and concerns did not materialize. Furthermore, I realized that it is safe to get dental or medical treatment overseas. Working with World Nomads was an easy and streamlined and most importantly, everything worked out well in the end. For the US resident, keep in mind that medical travel insurance isn’t health insurance. This does not replace mandatory health coverage under the Affordable Care Act. Choosing travel insurance can be a headache and worrisome when preparing for your travels. The thought of needing medical treatment abroad, is not something we like to think about, but should plan for. See this comparative travel insurance tool from Bootsnall for more resources. We were thrilled with our World Nomads experience. We found them very responsive and with a stress-free claims process. We will definitely use World Nomads again as we continue to eat our way around the world – with all teeth in place! 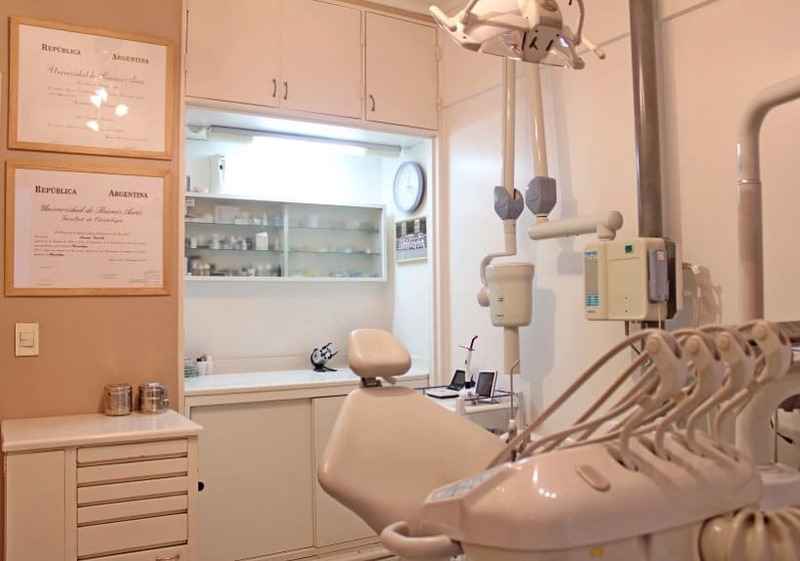 If you need a dentist in Argentina, don’t hesitate to contact Dr. Leandro Cerisola at his office in Buenos Aires: Esmeralda 1082, Centro, Buenos Aires, Office Number: +54-9-114-419-8568. What insurance do you use for your travels? Have you ever had an incident on your travels? Please share with your stories below! Please note this post includes affiliate links to World Nomads which means we receive a small commission if you buy a policy through these links. We did not receive any compensation for writing this article. We are simply sharing our experience with World Nomads, a trusted company and one that we personally use. Travel insurance, like all insurance, is a funny thing! Seems like all the times I need it…I don’t have it. And all the times I have it…I don’t need it! Better safe than sorry though, happy travels! You are so right, better to have travel insurance for those unexpected moments!! Thanks for your comments. Not only was it a huge inconvenience Tamara, the knowing how the dental services would be in Argentina was also a little scary. Glad the World Nomads experience made it much easier. Thanks for your comments. Well, this is definitely a different travel experience and one to learn from. I never travel without insurance and, fortunately, nothing ever happened. I rather be prepared. I’m with Allianz and their coverage is pretty good, seems even better than World Nomads (which I looked into before going with Allianz). Not sure about payments since I’ve never had to receive one. 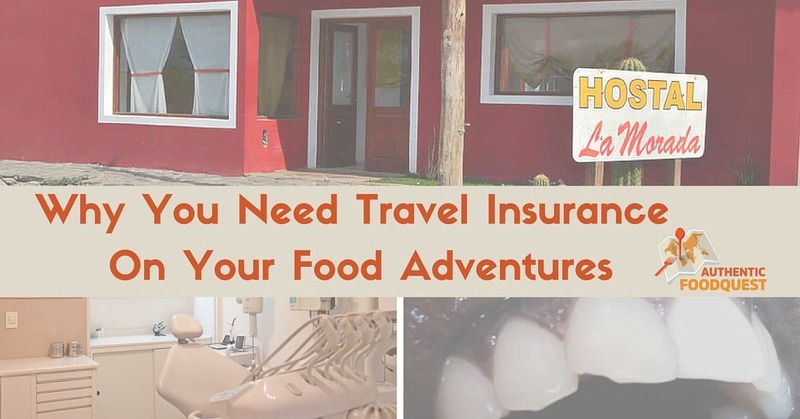 I never considered looking into dental insurance and if it is covered by my travel insurance. I have a similar problem with my teeth as you, where I’ve had repairs done in the past, and I’m always very careful when eating since any of my 4 front teeth can chip. Luckily, it has never happened while travelling, but after reading your post, I’ll make sure to look into this a bit more when buying travel insurance! I’m glad you were able to have your tooth fixed so quickly! If your front teeth are fragile, as mine are…definitively do look into the dental aspects of travel insurance. It doesn’t take much to chip the teeth. We’ve been really happy with World Nomads, and especially the claims process. Simple and fast. Check them out for your next travels 🙂 Thanks for your comments. 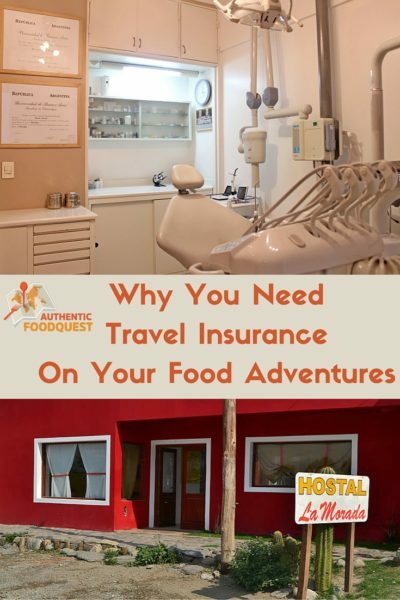 The thought about needing travel insurance for a food adventure never crossed my mind, but it definitely makes sense! Sorry this had to happen to you–such an unfortunate event, but glad you had the insurance to help fix your tooth. It’s nice the appointment and repair went well and that the claim was smooth, as well. I agree though, for long term travelers the check could be a bit of an issue, but otherwise it sounds like everything ended up working out well in the end! Thanks Jenna, we were happy everything ended up working out in the end. However, it was quite stressful when all of this was happening. Travel insurance, even for the teeth is important! Thanks for your comments. Wow! I have never even thought of the possibility of having a dental emergency while traveling. Thank goodness you had insurance and all turned out. I will definitely need to check out our coverage for our next trip to make sure we are covered for dental just in case. It’s funny that even though my teeth are fragile, the dental part of the insurance was the part we paid the least attention to. We are so glad everything worked out with World Nomads. Now we have a new appreciation for all aspects of travel insurance. Thanks for your comments! Thanks Tandy. Glad to hear that you had a great experience with travel insurance as well. It is never to be overlooked. Definitively thankful that everything worked out. Appreciate your comments. Wow – you’re lucky you had the travel insurance and the dentist turned out to be a great find. I have to be honest we rarely travel with travel insurance guess it’s time to think about that again. Thanks for the information. That’s risky that you don’t travel with travel insurance. Always best to be covered for even something as unexpected as dental treatment. If you do consider insurance, check out World Nomads. Simple and straightforward experience. Thanks Sue for your comments. Many people think they don’t need travel insurance, but I think it’s better to be safe than sorry. You never know what can happen anywhere, and not having coverage can be very unnerving. I didn’t expect to get sick so many times in Peru, so I’m glad I had some kind of insurance. Agree Brooke, better to safe on your travels that not. Sorry to hear you got sick in Peru. Glad you were covered 🙂 Happy travels and stay safe. Thanks for your comments. That’s a great travel insurance story Mansoureh. So glad that it was resolved perfectly as well. One never knows what will happen while traveling and it always better to be prepared 🙂 That’s great the same expression exists in Farsi.. how do you write it ? Thanks for your comments. Since I mostly travel short term I’ve never used travel insurance. But this is a good reminder that it’s a good thing to look into since you never know what could happen! Travel insurance, I think, is a good thing to have when traveling. Definitively necessary for long-term travel, but a “good” to have for short term as well. As you mentioned, you never know what could happen. Consider getting covered the next time you travel 🙂 Cheers! Thanks for your comments. Glad to meet another Torrontes and Cafayate lover. Such a great region with amazing wines. Fortunately, it wasn’t too bad…but really glad to have had the dental coverage. Agree, should not leave home without travel insurance. Cheers! I don’t travel long-term but it’s still good to have it front of mind that travel insurance is vital! Always good to have some real reviews on the service too as it helps makes the process of buying it that much easier! You are right, travel insurance is a good idea regardless of length of trip. It provides peace of mind. The experience with World Nomads was fantastic. Check them out the next time you travel. Cheers! I am so sorry to hear you had a dental problem while travelling . If there is a bright side, it is that it does make for a very informative story. I always wonder how I would go about locating a doctor, dentist, etc. in a foreign country and how much hassle the insurance process would be. I only have good things to say about World Nomads and I’m happy to hear you had a good experience too. That’s great to hear your positive experience with World Nomads. Yeah!! Seeing a doctor in a foreign country can be a little scary. 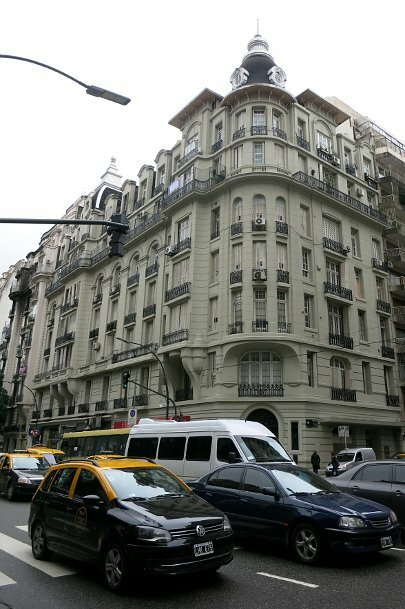 I was thrilled with the service in Buenos Aires and the experience has given me the confidence I need, should I find myself in that situation again. Hopefully not, though! Thanks Lauren for your comments. Wonderful, another World Nomads fan. Rest assured, if you need to seek dental treatment on your travels, you will be well taken care by World Nomads. Thanks Emma. What a crazy tale! I love World Nomads. Glad you had a good experience. I have only ever had to use insurance once and it too was a good experience. Glad to hear Toni that you’ve had positive experiences with World Nomads as well. That’s wonderful. Be to be insured than not.Cheers. Thrilling story with a happy end. Teeth are very important indeed as insurance is. Thanks for sharing! Thanks Anita. For not having given much thought to the dental part of the travel insurance. Thrilled everything worked out in the end. Cheers! It was my first time in South America and I was honestly nervous about seeing a dentist. Good to know that Argentina is one of the best countries for treatment. Lucky you that your travel insurance makes direct deposits. Hopefully, one day World Nomads will get there 🙂 Thanks for your comments. Awesome that you were able to get it sorted, but an unfortunate situation nonetheless. I use World Nomads as well, but I’ve fortunately never had to use it while on the road. Great to know the coverage is so legit! Yes Laura,the coverage and claims process with World Nomads is legit. On a side note, they are also very reassuring on the phone. In times of stress, it helps to hear a friendly voice on the other side. Glad you endorse World Nomads as well. Cheers!